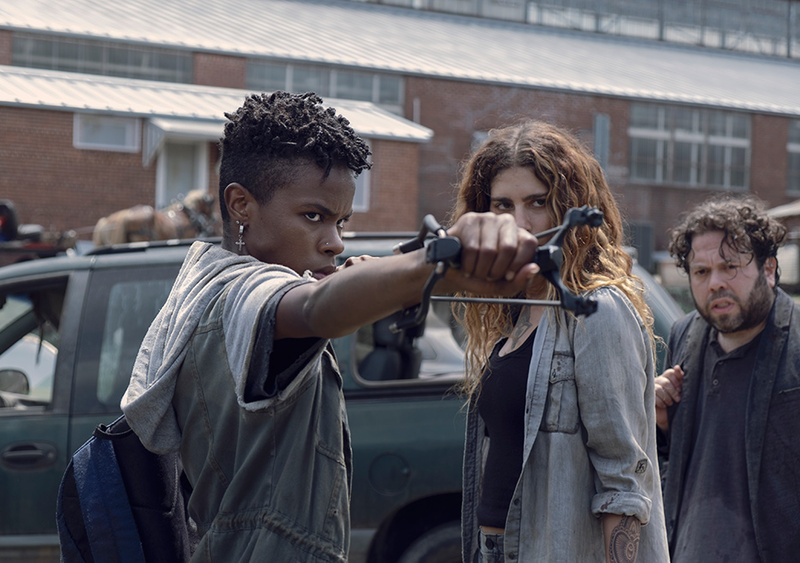 Aaron Neuwirth reviews The Walking Dead season 9, episode 7, "Stradivarius" in which Michonne and Daryl make some key decisions. 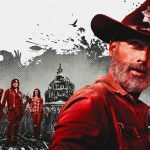 Now, with some distance from the awkward transitioning out of the Rick Grimes-led era of The Walking Dead, the show is starting to get back on track. “Stradivarius” works well enough to do what last week’s episode struggled to get across, which was to establish a status quo, with an emphasis on the characters we give a damn about. While new additions to the cast are inevitable, going through a giant transition on a TV show like this doesn’t require a whole new group to bring in an outsider perspective. What’s needed is proper drama involving those we are invested in, and this episode has more of that taking place, with less in the way of silly choices, even if a few scenes feel a bit clunky. For starters, I guess the missing Maggie mystery is going to be dragged out. There’s now some context concerning where she is, but the reasons for why she left Hilltop are going to be left ambiguous, presumably for a while. As much as it may be weird to consider, it has been several years in the timeline of the show since the bridge blew up, and we are left to speculate what happened to divide Hilltop from Alexandria and left Michonne and Maggie on non-speaking terms. 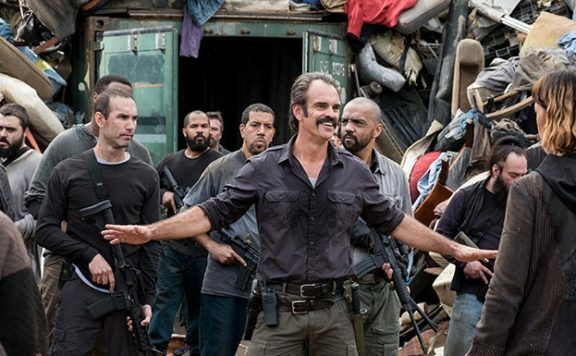 With Daryl now showing off his “X” back scar, we can all take our guesses, but the show is trying to push this big mystery to the point of having characters almost address it in full, only to be cut off. 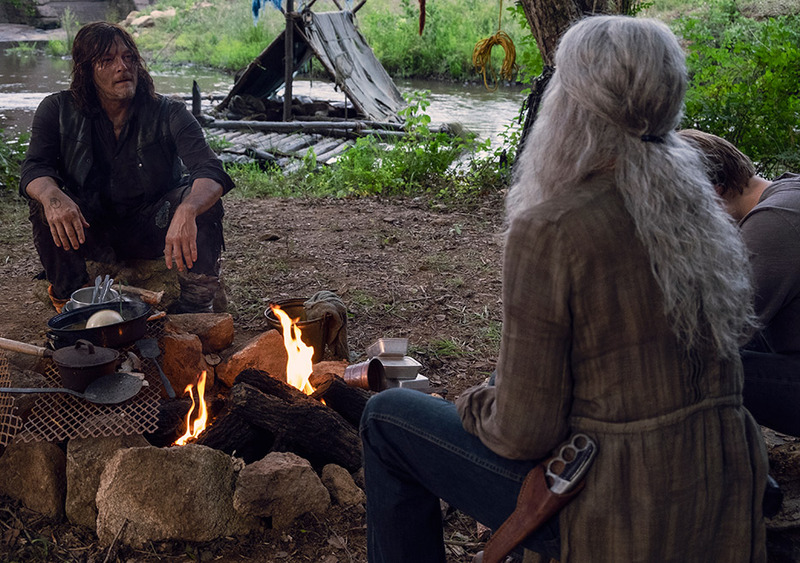 Speaking of Daryl, we get a lot more time with him and Carol this week, and it is nice to see the show continue to understand how great their chemistry is. The interaction is kind of silly, as it involves pep talks and the sort of concern you’d see in an afterschool special, with a resolution involving saddling Daryl with a kid to look after, but the two have an authentic relationship. 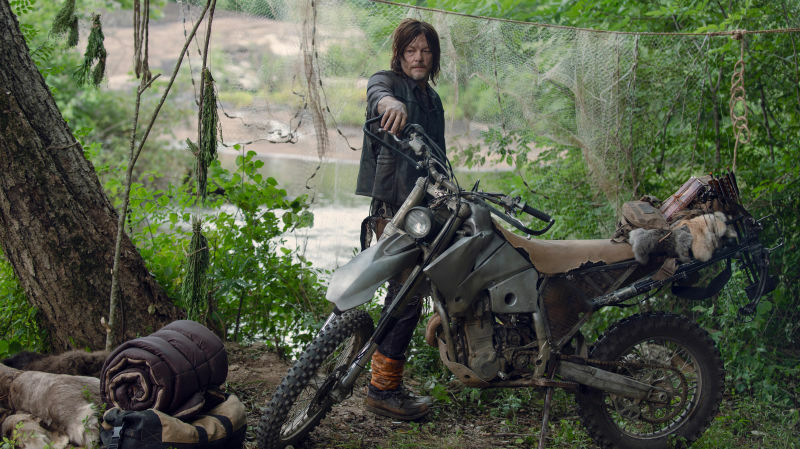 Still, we also get to see Daryl make snake stew, interact with his dog, deal with zombie traps, and pull his chopper out of retirement. Again, Norman Reedus is earning that paycheck with his increased screen time and dialogue in this series. 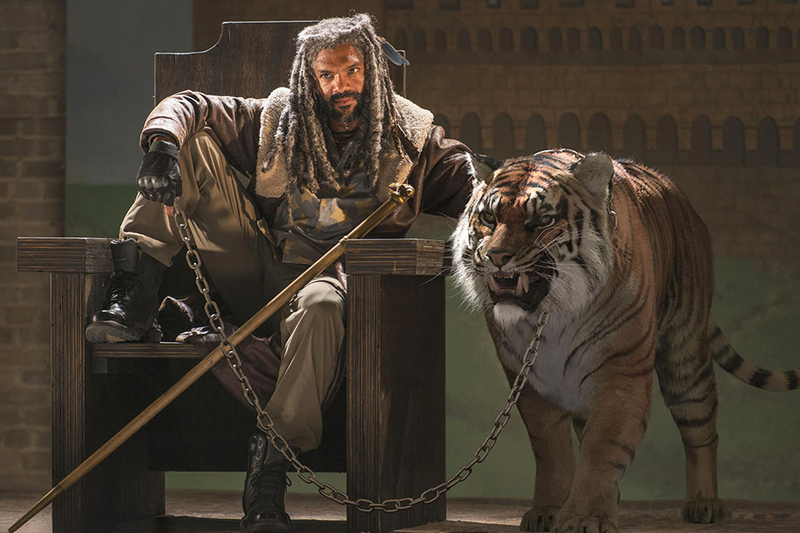 The other main plot involves Michonne’s work to guide Magna’s group to the Hilltop, along with Siddiq and DJ. 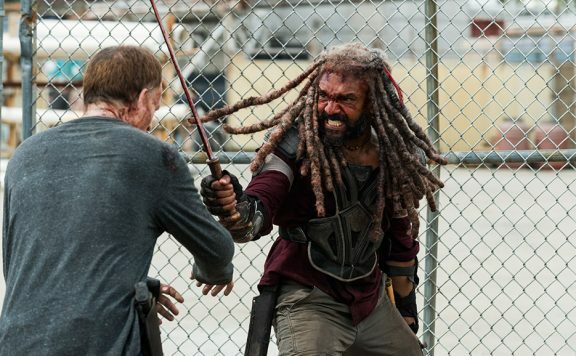 What works about this plot is how much focus is on Michonne. 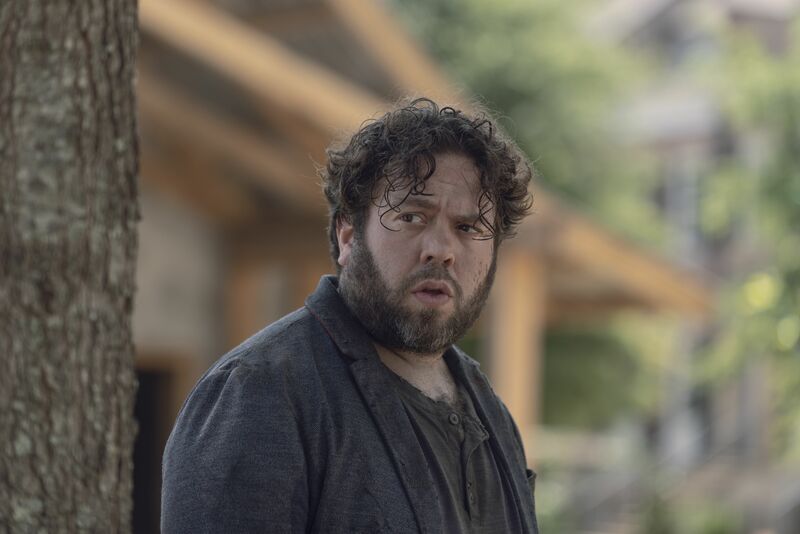 Last week I struggled to engage with the newbies, even with Dan Fogler’s Luke in tow (a character who has inexplicably survived for years, given what we see of his survival skills). 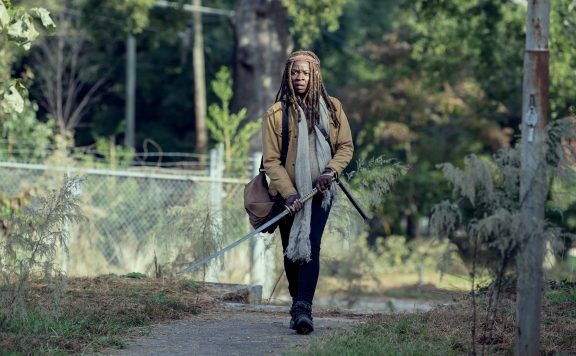 This week, I still can’t say I have much of an emotional tie to the new group, because a hokey speech about the importance of culture and the arts isn’t going to do it for me on this show, but I can buy into the struggles surrounding them by way of Michonne. Not hurting was an action sequence that helped to bring everyone together and do more in expanding upon who these new people are. Between seeing slingshot action, another archer in play, and the way everyone can work together, there’s hope for what’s to come in seeing Magna’s group blend into Hilltop. This whole plot also led to Michonne’s understanding of how much that community has changed, not being aware that Maggie had gone off to work with Georgie (the woman from the remote community, introduced last season). I struggled with what was seen of the Hilltop this week, though not from a production standpoint. 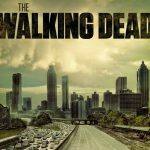 Even if some are a bit annoyed The Walking Dead has mostly stayed put in recent seasons; the physical set has proven to be quite impressive. Check out that final shot of the Hilltop and the field around it, and try not to be impressed with its realization. I only wish the show could realize how uninteresting mopey Jesus is. Here’s a character that’s one of the best in a fight, and doesn’t even need weapons. His sparring/flirting with Aaron is silly, but a highlight, as it’s a sequence committed to character work, and one that finds the guy in his element. The rest of the episode finds him paired with Tara and falls flat. This happened last season with these two characters as well. Points are made, then dropped, then reversed, and it’s never exciting. The lack of context for why Maggie left doesn’t help, but with two characters that can be entertaining to watch, this show doesn’t do them any favors by having them blandly talk to each other in a dusty loft. By the end of this episode, we have Daryl, his dog, Jesus, and Aaron heading off to try and find a missing Eugene. 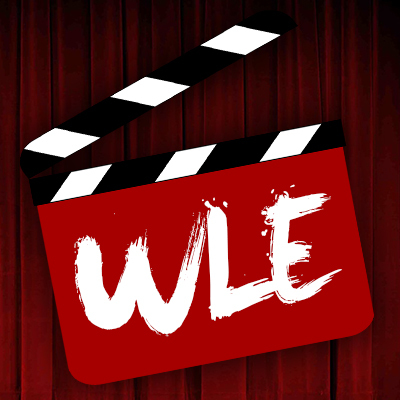 That at least speaks to the adventurous spirit that should be contained within this zombie drama. Next week is the last episode before the winter break, so let’s hope the show continues to build on the characters still around and what those relationships are like, before developing some new mythology to contend with. Zombie Kill of the Week: Kelly knocks out a walker’s brains with her slingshot, and we even see the exit hole. This episode was directed by Michael “Abraham” Cudlitz. I guess Rosita had a tough time. Maggie sends letters. I would love to know how that works. 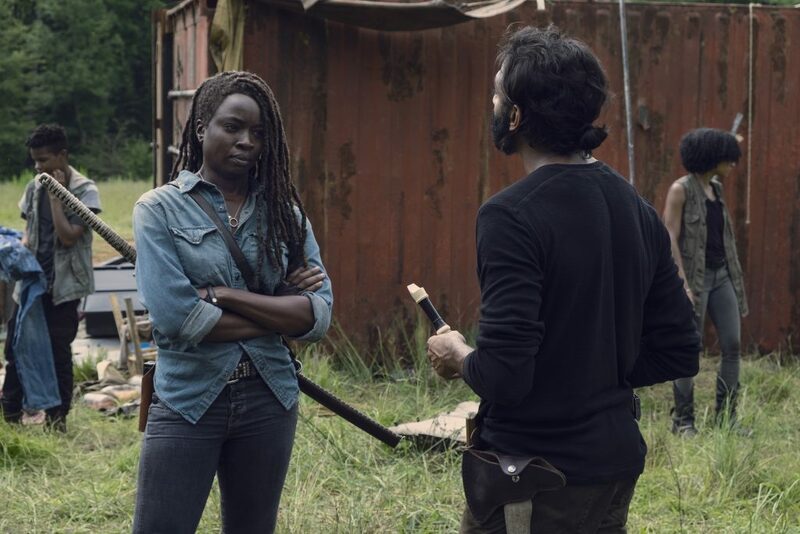 Siddiq took a chance stepping up to Michonne. I guess he’s one of the gang now. Michonne destroyed Luke’s violin. It made me laugh. That Henry is a dummy sometimes. Thomas “Ponyboy” Howell showed up this week randomly. That was fun.